The hospitality sectors leading brands choose Captiva. From Belfast to Cork the leading brands in the hospitality sector choose Captiva systems to manage, develop and promote their business. Pizzeria's, Thai, Indian, Cafe franchises, Asian, American restaurants or fast food, whether it be fine dining or QSR you'll find our systems at the heart of operations. Captiva Business Systems include Point of Sale, Prep Stations, Driver Stations, Enterprise Back Office, integrated card payments, SMS & Marketing tools and much more. Access your data from your cloud account and use it directly in your own applications and reports. 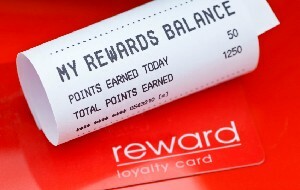 Multi platform loyalty solution allowing you to manage, market and develop a powerful loyalty solution. 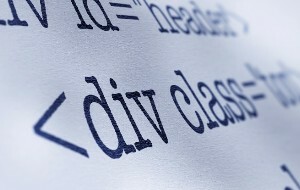 Using the API you can integrate your loyalty platform into your existing websites, apps etc. Easily manage your franchise operations, or multiple stores with Captiva. Our user friendly systems are easily installed on site with full staff training. Information is collected from all sites and directed back to your head office where it is stored. Handling multiple outlets can then be easily managed from one central location , just as if you were on site. Financial information, Stock control, Employee information, stock orders, accountancy can all be co-ordinated from one central location, requiring less man-power and reducing the cost , stress and time involved in managing multiple outlets. Captiva systems provide integrated credit and debit card payment services. Cut the cost of providing credit card payment services to your customers. Captiva has joined up with Payzone, one of Europe's leading credit card processing houses to bring integrated credit card processing to our range of services. Available solutions include both Card present (using chip 'n' Pin readers) and Card Not Present for phone orders (using our on screen processing terminals). There is no need for extra terminals, dedicated landlines, and different paper rolls. Our integrated credit card payment processing ensures that all sales payment type recording is accurate. Captiva also provides additional EPOS & POS services to all industries and businesses throughout Ireland. 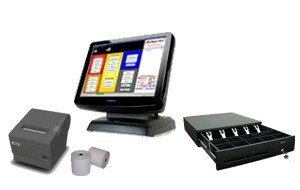 We also have available till rolls for almost every POS system and cash register system in Ireland.